We are excited to announce that Dianna Good has joined Lender Toolkit! Dianna is a high energy professional with the ability to lead. Dianna will be bringing her 25 years of experience in all facets of the mortgage arena. 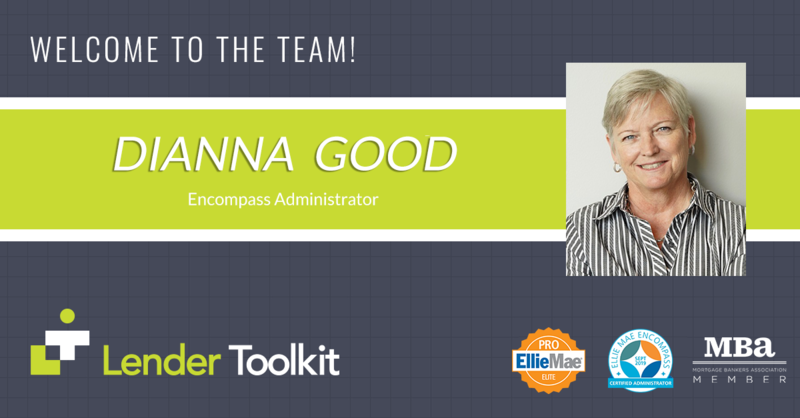 Dianna is a Certified Encompass® Administrator with vast experience in workflows, system management and implementation. She is a great addition to the LTK Team! Join Lender Toolkit at Experience 2019!